For patients with failed surgical treatment of an infected TKA, salvage operations such as arthrodesis or above-knee amputation (AKA) may be considered. Clinical and institutional factors associated with AKA and arthrodesis after a failed TKA have not been investigated in a large-scale population, and the utilization rate and trend of these measures are not well known. (1) How has the frequency of arthrodesis and AKA after infected TKA changed over the last 10 years? (2) What clinical or institutional factors are associated with patients undergoing arthrodesis or AKA? (3) What is the risk of mortality after arthrodesis or AKA? 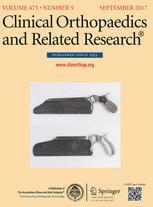 The Medicare 100% National Inpatient Claims Database was used to identify 44,466 patients 65 years of age or older who were diagnosed with an infected TKA and who underwent revision between 2005 and 2014 based on International Classification of Diseases, 9Revision, Clinical Modification codes. 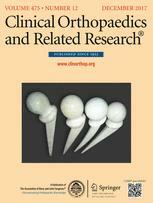 Overall, 1182 knee arthrodeses and 1864 AKAs were identified among the study population. One year of data before the index infection-related knee revision were used to examine patient demographic, institutional, and clinical factors, including comorbidities, hospital volumes, and surgeon volumes. We developed Cox regression models to investigate the risk of arthrodesis, AKA, and death as outcomes. In addition, the year of the index revision was included as a covariate to determine if the risk of subsequent surgical interventions was changing over time. The risk of mortality was also assessed as the event of interest using a similar multivariate Cox model for each patient group (arthrodesis, AKA) in addition to those who underwent additional revisions but who did not undergo either of the salvage procedures. 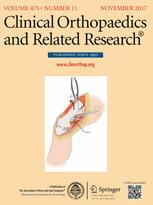 The number of arthrodesis (hazard ratio [HR], 0.90, p < 0.001) and amputation (HR, 0.95, p < 0.001) procedures showed a declining trend. 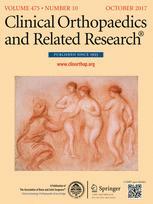 Clinical factors associated with arthrodesis included acute renal failure (HR, 1.22 [1.06–1.41], p = 0.006), obesity (HR, 1.58 [1.35–1.84], p < 0.001), and having additional infection-related revisions (HR for 2+ additional revisions, 1.36 [1.13–1.64], p = 0.001). Higher Charlson comorbidity score (HR for a score of 5+ versus 0, 2.56 [2.12–3.14], p < 0.001), obesity (HR, 1.14 [1.00–1.30], p = 0.044), deep vein thrombosis (HR, 1.34 [1.12–1.60], p = 0.001), and additional revisions (HR for 2+ additional revisions, 2.19 [1.91–2.49], p < 0.001) were factors associated with AKA, which in turn was an independent risk factor for mortality. The risk of death increased with amputation after adjusting for age, comorbidities, and other factors (HR, 1.28 [1.20–1.37], p < 0.001), but patients who received arthrodesis did not show a change in mortality compared with the patients who did not receive arthrodesis or amputation (HR, 1.00 [0.91–1.10], p = 0.971). The findings of this study suggest that clinicians may be more aggressively attempting to preserve the knee even in the face of chronic prosthetic joint infection but also show that a greater number of revisions is associated with a greater risk of subsequent AKA or arthrodesis. The results also suggest that recommending centers with a high volume of joint arthroplasties may be a way to reduce the risk of the salvage procedures.